Did SHINee's Onew really sexually harass a woman? It was a shocking news that SHINee's Onew, who is well know for his good personality was accused of sexually harassed a woman in a club. The woman has dropped charges against the idols star, but the police decided to prosecute him, and yeah, the case is not over yet. Then, do you think Onew really sexually harassed the woman? Here's what happened on August 12. On August 12, Onew visited a club with his friends to celebrate his friend's debut as a DJ. The idol star was drunken when he just arrived at the club, which means he had already drunk a lot with his friends before going to the club. Onew is a heavy drinker, and he loves to hang out with his friends. After arriving at the club, Onew drank more alcohol, and yeah, he drank himself into oblivion. In such a situation, he couldn't keep himself steady, and he grabbed legs of a woman who was dancing in the club. Yeah, it's true that he grabbed the woman's legs, but he didn't intend to do it. As I said, he drank himself into oblivion, and he just tried to keep his balance. At first, the woman complained to him, and his friends apologized to her, saying "He's too drunken, and he didn't intend to do it. We're sorry". However, Onew did the same thing two more times, and the woman and her friends called the police. When the police arrived, Onew couldn't even recognize what was happening because he was too drunken. 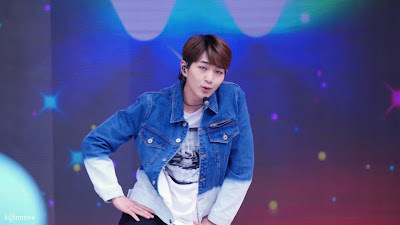 After then, SM Entertainment heard that Onew was accused of sexually harassed the woman, and the powerful k-pop agency, which wanted to settle the case out of court apologized to the woman. That's why the woman dropped charges against Onew, but the police decided to prosecute him because it's true that Onew grabbed her legs and the police thought the woman and witnesses' statements were reliable. In Korea, molesters get punished even if victims drop charges against them. What SM announced about the case was that there was a misunderstanding and the woman dropped charges against Onew because the misunderstanding has been cleared up. However, it seems like she thinks differently because she's still saying "I've dropped charges against Onew, but it is not because there was a misunderstanding. It's true he grabbed my legs". Onew is unlikely to be punished heavily because he was drunken and he didn't intend to sexually harass the woman. And believe me. He's not the man to sexually harass a woman. He's good-natured, and he's faithful too. However, yeah, he should have been more careful. You know, he is a very famous idol star, and there are so many fans who have been supporting him for a long time.